Concrete boom trucks certainly have their place in the insulated concrete forms world, but they’re not the only option for filling ICFs. Concrete pump attachments, such as our RD6536 and D6528, are compact and easily attach to a skid steer or compact track loader. Powered by the carrier’s hydraulics, the pumps deliver 0- to 25-yard-per-hour outputs. They also pump material as far as 250 feet horizontally and 100 feet vertically. So, how do you know whether calling on a concrete provider or having your own concrete pump attachment is best for your operation? The answer can be determined by considering how blowouts, lack of convenience and costs are affecting your business. The steel boom sections and rubber boom extension used as the delivery line on a boom truck are typically too large to navigate between the ICF forms and/or the rebar used to help fortify the forms. The boom and rubber hose must then be held above the forms to guide the grout, or concrete. The boom pump must pump the material vertically to lift the grout in position to fill the form. Once the material changes direction from up to down, gravity increases the material’s velocity as it is discharged from the rubber delivery line into the form. The increased velocity combined with the weight of the grout puts significant stress on the ICFs, particularly the lower forms stacked on the foundation. In some cases, contractors must only fill four courses at a time, which requires more time on the job for the boom truck and more time to fill the forms. A concrete pump attachment usually is used with a 2-inch delivery line, much smaller than the truck lines. The smaller diameter typically reduces material velocity and minimizes trapped air, for more uniform results. Pump attachments can also be used with a 1.5-inch delivery line and a fine grout mix to further minimize material velocity. Being at the mercy of a concrete provider’s schedule is never ideal because, like every contractor knows, time is money. It also runs anywhere from $750 to $1,500 or more per pour to hire a pumping contractor, which adds up considerably over time. It’s like renting an apartment rather than purchasing a house — you’ll always have to pay someone in order to live there and it will never be yours. 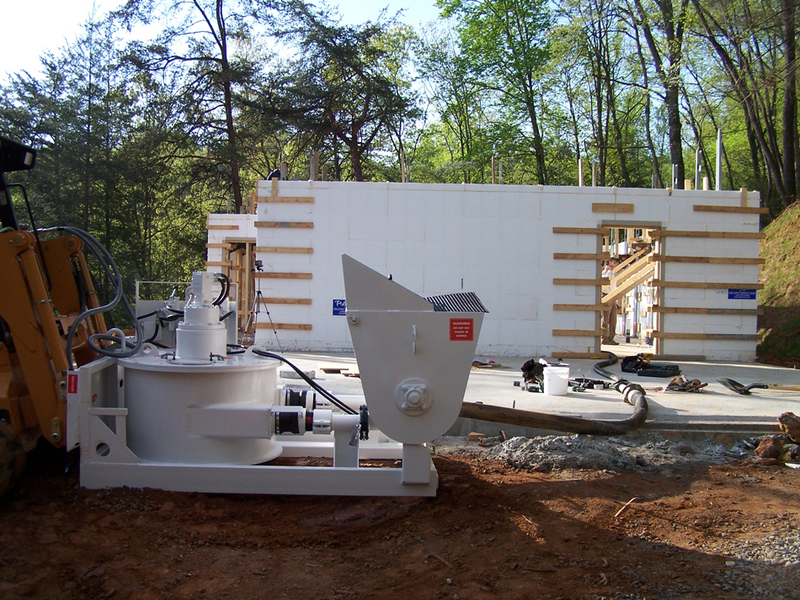 Having the convenience and reliability of concrete pours where and when you want it can cost you $60,000 for a trailer pump unit to as much as $350,000 or more for a pump truck. 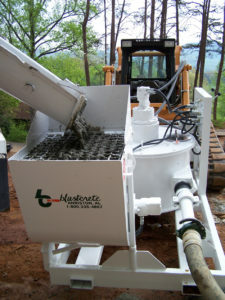 A concrete pump attachment, however, is a more economical option. They cost roughly 5 to 30 percent of the price of the larger units and since most contractors already have a loader to operate the pumps, the investment is relatively minimal. Plus, you’ll get a greater and faster ROI. Contractors who have a concrete pump attachment can have it paid for in as few as 12 jobs. 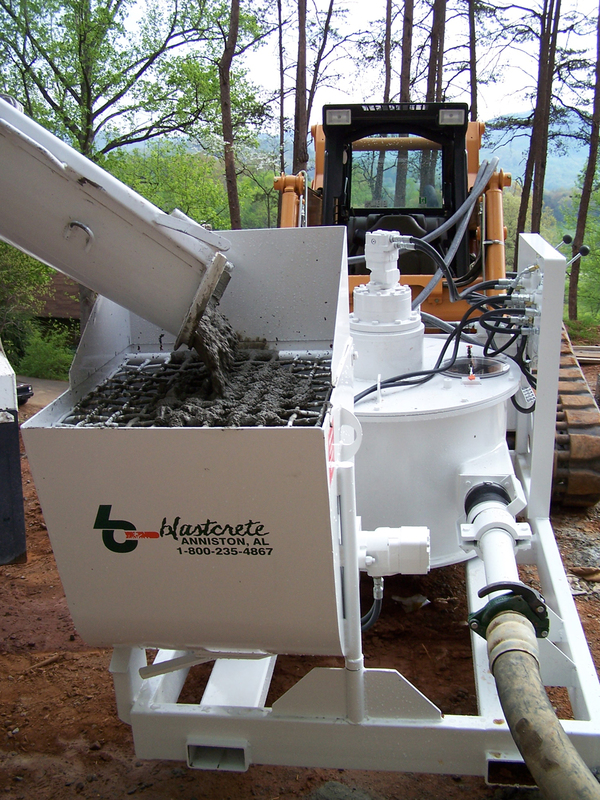 They also can use the pumps for block fill, grouting, cellular concrete and wet shotcrete applications, enhancing ROI even further. Whether you are just starting out with ICFs or are ready to fully submerge yourself in the business, the right concrete pump will go a long way in ensuring success. Want to learn more? Contact us to discuss your needs and get a quote!